You may be surprised to know that the cloudy water syndrome in a fish tank is caused by colloids. Over a period of time, organic waste produced by the fish and algae in the tank are turned into nitrates. These particles are interspersed in the water and do not settle. You cannot separate colloidal particles by mechanical means such as filtration. To make the fish tank water clearer, you simply will have to change the water. 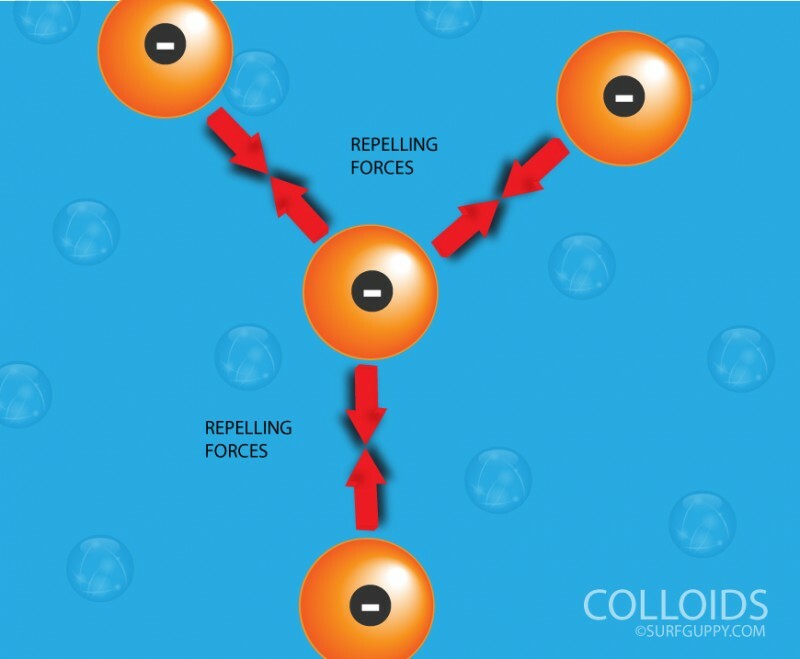 A colloid is defined as solids that do not dissolve but remain dispersed in a liquid for a long time due to their small size and electrical charge. Fine examples of colloids are fog, hair spray or miss, whipped cream (a liquid suspended in gas) and the classic one which is gelatine. A colloid particle size ranges from 1 nanometer to 1 micrometer. 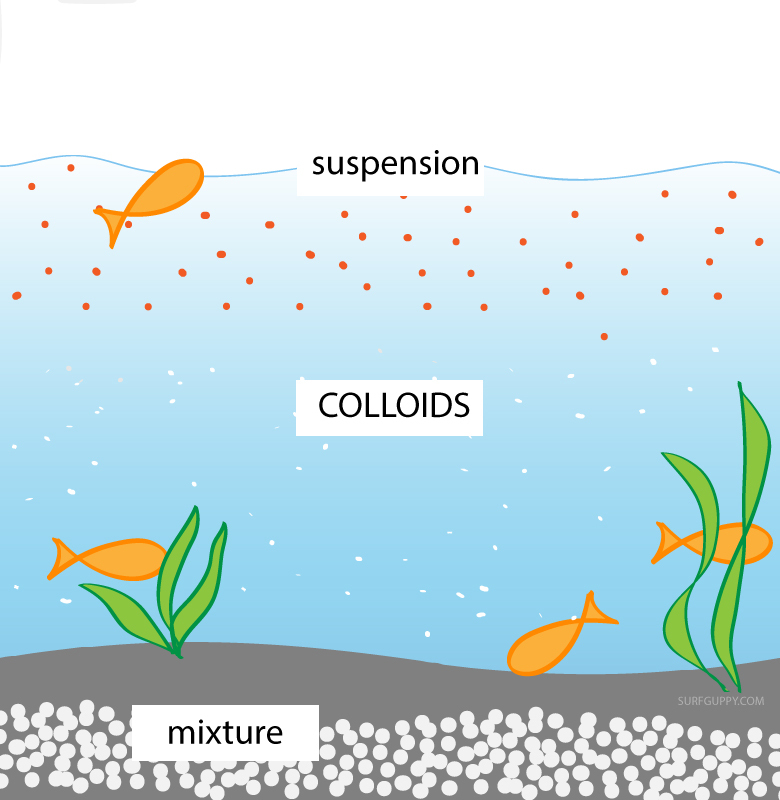 Colloids stay dispersed in the suspension medium. They don’t dissolve. The particles carry an electric charge and are either positive or negative. Due to the presence of similar charges, the particles repel each other. They therefore do not combine and always stay dispersed in the solution. 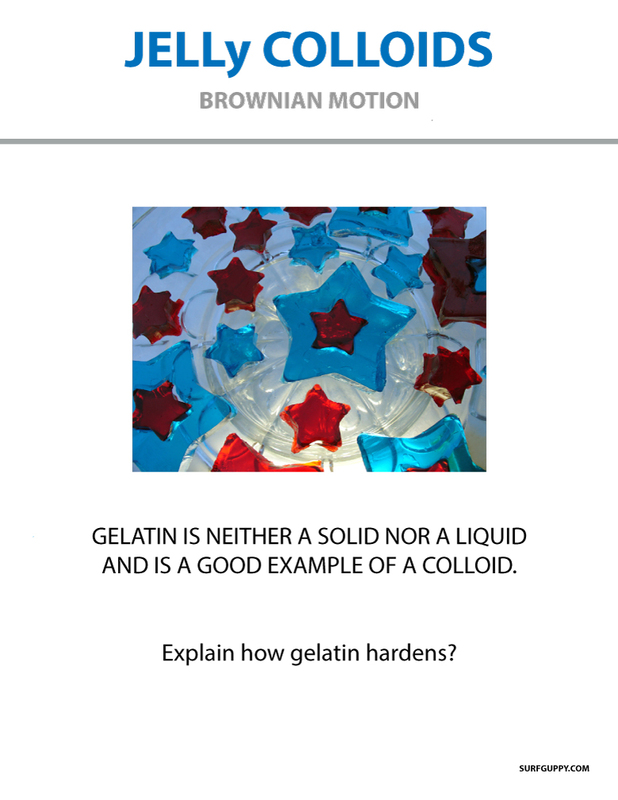 Colloids are constantly colliding with each other in zig-zag motion called brownian motion. Do you know you can destroy colloids by heating them or adding an electrolyte so they can coagulate and form into bigger lumps? An easy way of determining whether a mixture is colloidal is through use of the Tyndall Effect. You can do this simple experiment using a glass of water and a glass of very diluted milk. You would need a dark room. Shine a small torch light through the glasses. 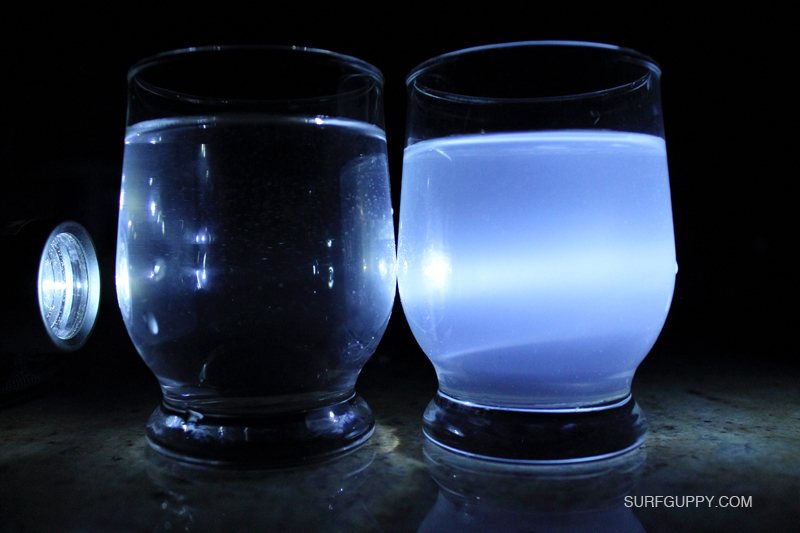 You will be able to see the path of light in the milky solution but not the water. That’s because the colloidal substance in the milky solution disperses and scatters the light in all directions, thus making it readily seen. This is called the Tyndall effect. 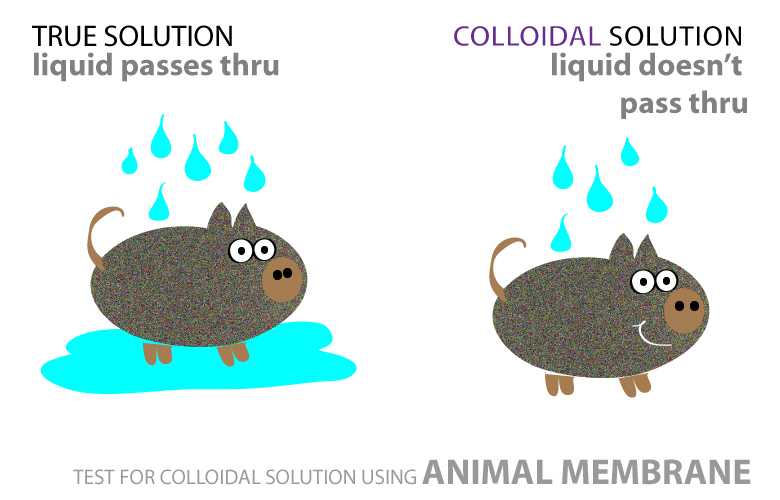 Some colloids are difficult to tell apart from solutions. A test using a semi-permeable membrane of an animal can be used. If the solution passes through, it is a true solution. If it doesn’t passes through then it is a colloidal solution. You might be surprised that the size of a colloid is only between (1/10,000 to 1/1,000,000,000) millimeter in size. Sugar isn’t a colloid because sugar dissolves and the resultant solution is clear. However, a colloid such as corn flour starch when mixed in with water doesn’t dissolve but stay in some form of suspension. The corn flour mixes uniformly or homogeneously throughout the liquid and the result is an opaque or cloudy appearance. A favorite and delicious colloid is Jello.